Self-care seems to be the theme of 2015 and when I came across W.E.L.L. Summit several months ago I immediately put it in my calendar. 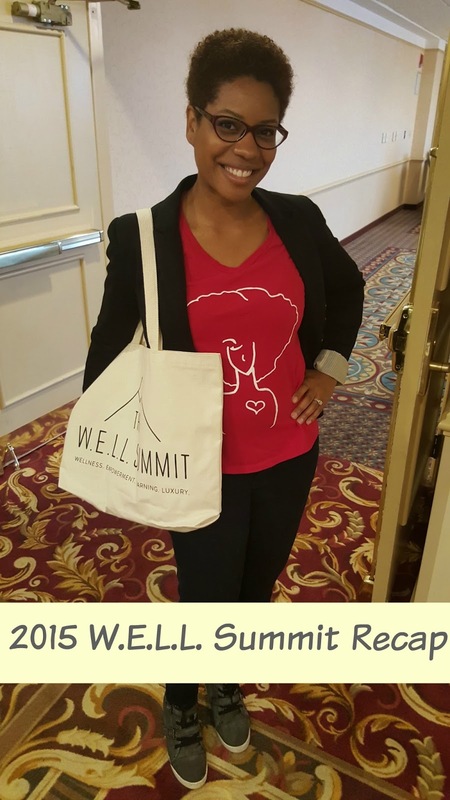 I've traveled quite a bit this year and after attending a few conferences I was looking forward to being grounded for a bit, but when the opportunity opened up to volunteer at W.E.L.L. Summit I was thrilled to be able to attend. It *really* is my last big event of 2015. And it was the best way to close out the year. The acronym W.E.L.L. represents wellness, empowerment, learning and luxury and the brand behind W.E.L.L. 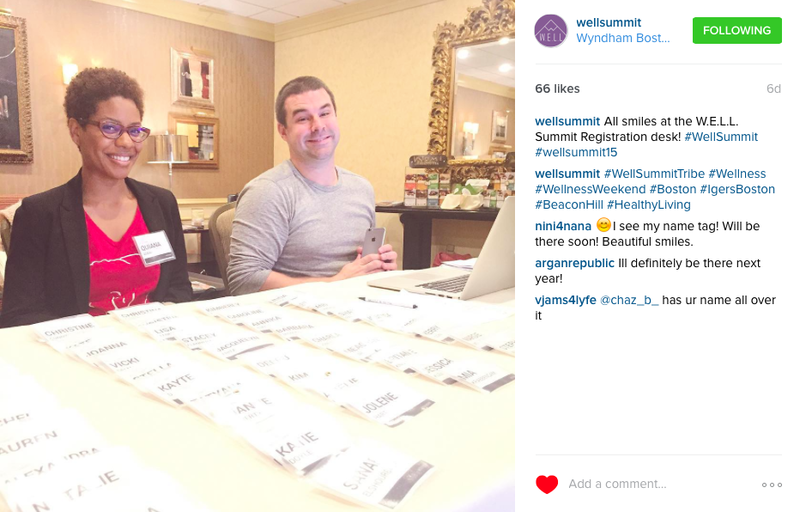 Summit, Organic Bath, touched on all these themes by curating a robust and well-rounded group of sponsors, influencers and thoughtful attendees who convened at Wyndam Beacon Hill. A VIP reception on Thursday night was a casual way to kick off the conference, and I immediately picked up on the vibe of the conference. 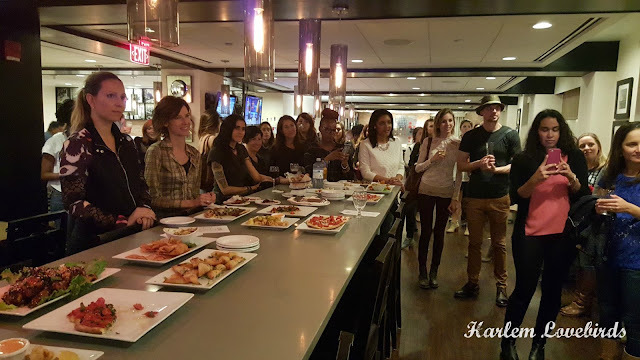 Everyone was welcoming and extremely passionate about their businesses, causes and what they wanted to get out of the conference. Oh and the food was plentiful and delicious! It was also unseasonably warm adding an extra dose of happiness to the room. The following morning kicked off with yoga sponsored by Athleta and while I didn't attend, throughout the conference I really appreciated how opportunities for physical activity were sprinkled throughout. 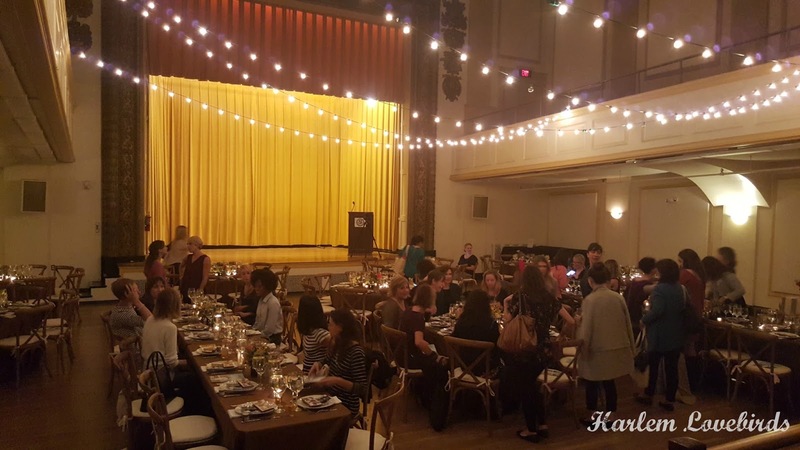 From spin class at CYC Fitness to Xtend Barre this was not your typical "sit and listen" conference. 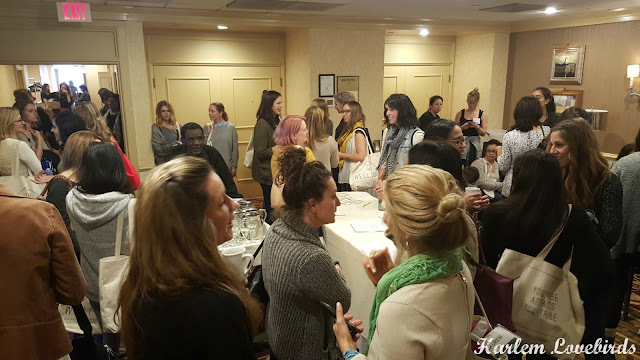 Sacred Beauty Salon with Rebecca Casciano was an intimate group where we discussed our ideas of beauty and examined different ways to view ourselves. We kicked off with really looking at each other a la The Artist is Present as well as engaged in a diverse beauty discussion looking at cross-cultural and cross-generational portraits of women. I've definitely changed how I view myself post-kids and this experience was definitely confidence boosting. Rebecca recommended changing up our look whether it be cutting our hair or trying different accessories (like new glasses), and I definitely agree that my recent transformation has been therapeutic in a way. Make-up artist Kristen Arnett gave the lunch keynote and I was struck by how humble and down-to-earth in her approach to beauty. Specializing in using organic products and having worked on so many celebrities, she shared how pretty much every woman that sits in her chair picks herself apart. We really need to go easy on ourselves! Beyond her job as a MUA, Kristen is also working on her wellness platform Green Beauty Team. It's worth checking out! 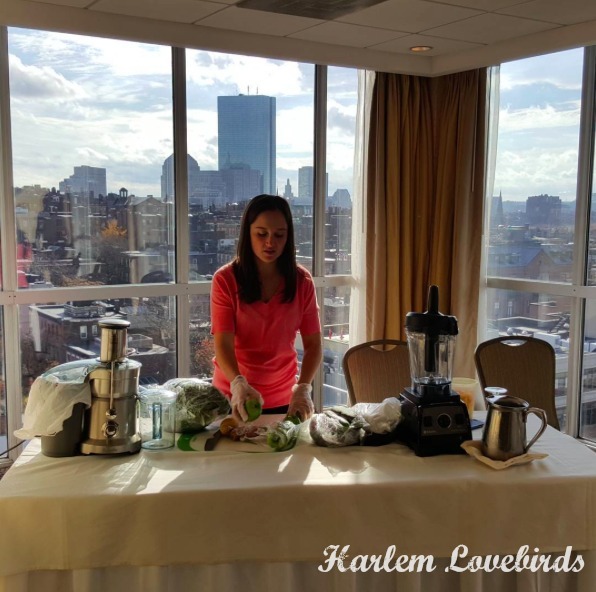 Next up Drink your Greens with Heather Stevenson, founder of Thirst Juice Co., convinced me to hang onto my juicer. I've been obsessed with smoothies lately, but there are reasons for using both especially with the benefits of drinking juice first thing in the morning on an empty stomach. The pure boost of nutrients to your system is so powerful! My biggest issue with juicing is all the leftover pulp. We lease and don't have a garden otherwise I'd compost, but there are ways to incorporate it into soups and veggie burgers. 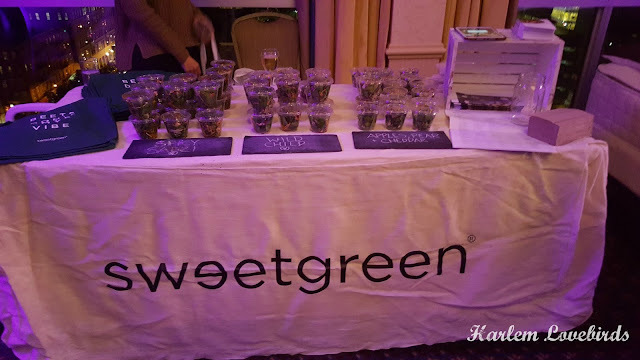 In between sessions there were so many snacks and tea on hand provided by TigerNuts, Simply 7 Snacks, Emmy's Organics (these macaroons are EVERYTHING), Cocomama and Numi Organic Tea. I love it when a conference makes sure everyone is fed and hydrated! Friday night the highlight was the farm-to-table dinner catered by Chive Events. Earlier I met the keynote speaker Latham Thomas, founder of Mama Glow, during Brandie Gilliam's How to Make an Impact With Your Brand. 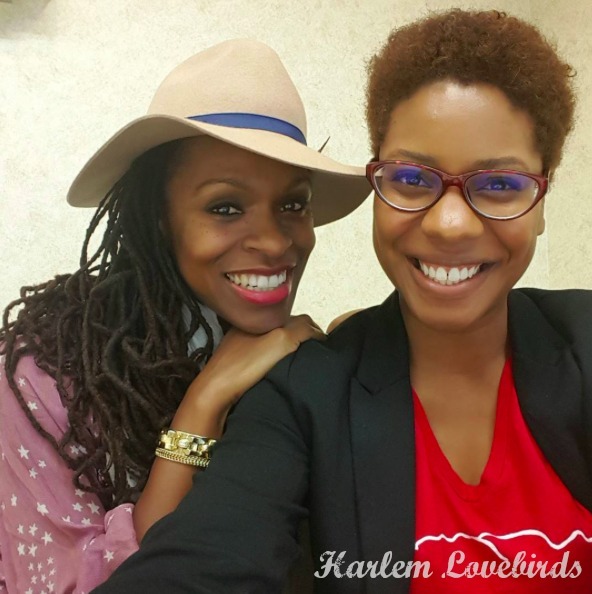 I've been following Latham for years after hearing about her via Gabrielle Bernstein and Claudia Chan's SHE Summit. It was an honor to finally meet her (and for her to so graciously indulge my selfie request!). I wasn't staying on site (shout out to my friend Anna who let me stay with her! 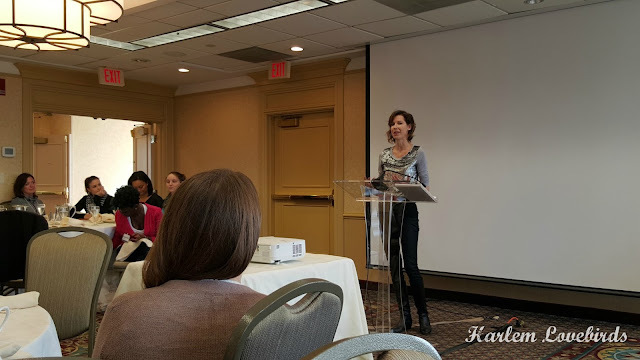 ), and I arrived Saturday morning as the Healthy Beauty Panel was underway featuring Tara Foley of Follain, Kristen Arnett and Kathryn Rodgers, of the Silent Spring Institute. When that finished I caught Coyuchi CEO Eileen Mockus' Healthy Home session. She shared how to select eco friendly materials for your home as well as laundry care guidelines. Pretty much we should be washing everything in cold water and line drying! Also, beware of benzoyl peroxide in your beauty products - it will stain your linens. 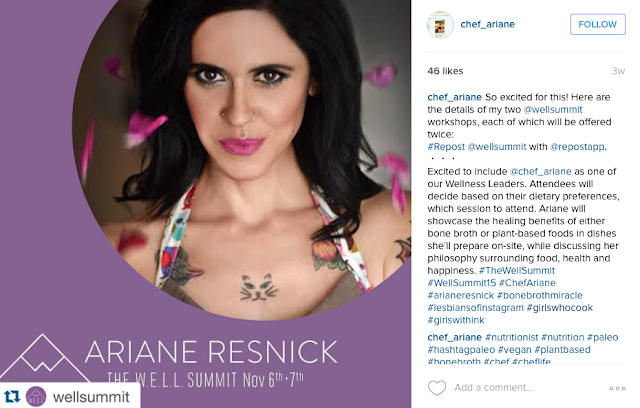 After lunch I assisted in celebrity chef Ariane Resnick's Bone Broth for Wellness session. Ariane literally wrote the book on bone broth. While it's something that's been around cultures worldwide it's quite new to the U.S. and I was so surprised that as a non-meat eater Ariane touts its benefits. Ariane made a quick version of bone broth on site (it was delicious! ), but recommends using a pressure cooker. Although my grandma swore by hers, I've always been intimidated by pressure cooker horror stories, but Ariane assured us they are 100% safe now. Next up was setting up for that night's closing party. It was a shopping bazaar of sorts with brands on hand as well plenty of samples and an amazing DJ. I was fading fast (plus I got word that Nia was running a fever), but it was fun to hang out for a couple hours before heading home. I was excited to finally being able to sample Sweetgreen. They had opened in NYC around the time we left last year and with a location in Boston I haven't had the chance to eat there yet. Of course there were samples on hand and their pear, apple, cheddar salad was delicious. I'll be attempting to recreate it at home until I can make it back to Boston for more! Sunday closed out with yoga and brunch by Birch Benders pancakes. Since I was already back in New Hampshire I had to drool over Instagram! I felt refreshed from my W.E.L.L. 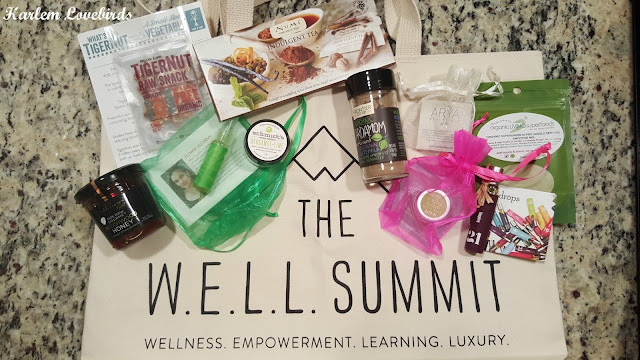 Summit experience and committed to applying better health practices in my home especially when it comes to self-care. When you know better you do better, right? If you want to attend W.E.L.L. Summit in 2016 (location TBD) sign up for their newsletter on their website to stay connected. Head over there to enter. Good luck! Congrats to the W.E.L.L. Summit team on a successful inaugural conference!